08 Aug 5 Signs You Need A Nashville Roofers Help! Your home’s roof is the top layer of protection for your home. These 5 signs will help you decide when you need a Nashville Roofers help! It is critically important that your roof be well maintained and in top condition. Surprisingly enough, despite it’s importance, your roof is usually the most neglected item in your home! Few homeowners are capable or interested in climbing on top of their roof! 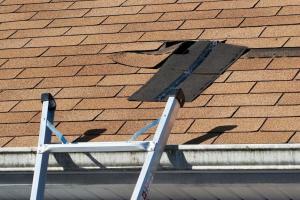 When looking at your roof from the ground, it is almost impossible to see minor issues that may become major problems! Unlike other items in your home that begin to malfunction and need repairs, like a leaking faucet or running toilet, your roof deteriorates in silence. It continues to protect the interior of your home, even with minor issues, until the issue grows and grows and suddenly the protection stops! There are many red flags or keys to look for that will help you know if the roof on your home is in need of repair or even time to replace. Once your roof fails you can be faced with expensive interior damage that is not only costly, but extremely invasive on your daily life! MidSouth Construction is one of the top Nashville Roofers and we are always happy to provide free roof inspections for homeowners! We recommend that any time a storm has passed through your area that you contact us for a thorough and accurate assessment of your roof’s condition. 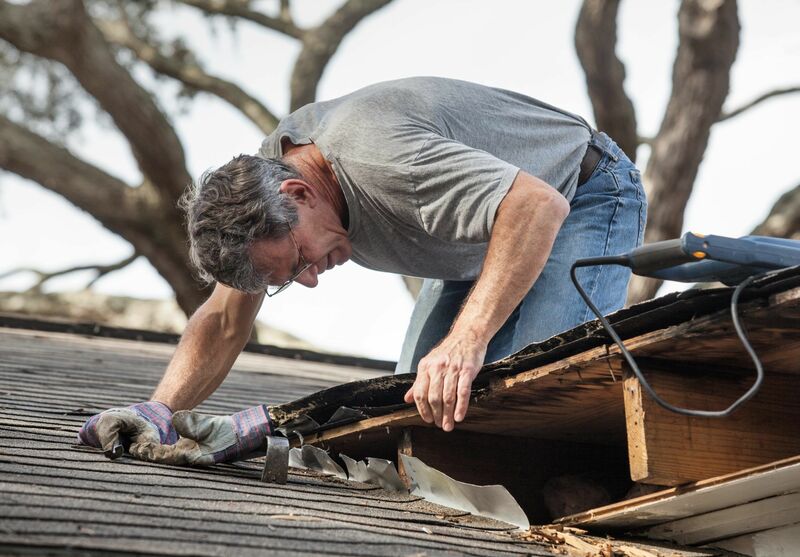 Even if your roof has not been in the path of recent storms, as your roof begins to age, it is prudent to have your roof inspected on occasion to determine if there are any maintenance items that need to be addressed. Our experienced project managers can help detect loose or missing shingles, pipe jacks that may have reached the end of their life expectancy, flashing, and caulk that need to be replaced, or other areas that are prone to leaks. STRONG STORMS: Anytime your home or business has been in the path of a hail storm, wind storm, or a nearby tornado, it is critical that your roof be inspected. It is very common for our Nashville Roofers to go out to inspect a roof on a home where the homeowner was certain they had not sustained any damage and discover significant storm damage! Our roof inspections are free and no obligation! Take time to call and schedule this important inspection anytime a severe storm has been in your area! The cost to you is zero but the peace of mind you will receive is priceless! Age of Your Roof: We often forget that a roof has a life expectancy. If your home has a roof with a tradition 3 tab shingle that is more than 20 years old it would be in your best interest to start planning to replace your roof. Even the best installed roofing system will begin to end its effectiveness after 20 years. If you roof has poorly installed or your home does not have proper ventilation, the life expectancy of your roof will be even lower. For more information on the importance of roofing ventilation and how it impacts your roof please read our blog on roof ventilation. Missing shingles can cause interior damage. Straight line winds and cause shingles to blow off and need to be inspected and replaced. w minutes to walk around your home’s entire perimeter and look at all elevations of your roof! It is common for one side of your roof to age and weather more quickly than other elevations. If you find shingles or portions of shingles in your landscaping or yard, then you definitely need to contact us for a roofing estimate for roof repairs or replacement! Be a Detective: Not all roofing issues are glaringly obvious. But, with a little detective work you will see some items that should cause concern. Check your gutters and downspout drainage for roofing granules. If you can see a portion of your gutters through an upstairs windows, look close to see if you there appears to be accumulating granules. Look at the downspout drainage area for piles of granules that are washing away from your roof. Check Your Attic! Don’t forget to take time to go into your attic and check the ceiling and walls. 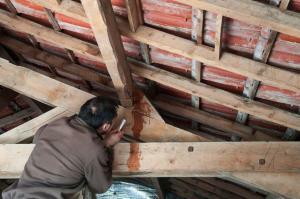 A minor roof leak may be coming into the attic space that can be corrected easily without expensive interior damage. Leaks that are allowed to grow can become problematic! If you wait until a leak is present in the interior living area of your home, you have a major roof leak! Also look at the chimney area and make sure that daylight is not visible. Chimney flashing often need to be redone! Even if your roof is newer, chimney flashings are not always replaced and are not necessarily a component in a new roofing system. Look at the roof decking which is visible in your attic and check for any areas that appear to be wet or have dark water spots. These are only our top five things to look out for when consider your home’s roof. If you find any of these problems we have addressed, we strongly recommend that you contact local Nashville roofers and roofing contractors near you to schedule an inspection today! It is always wise to have a second set of eyes inspect your roof like Nashville Roofing Contractors MidSouth Construction! 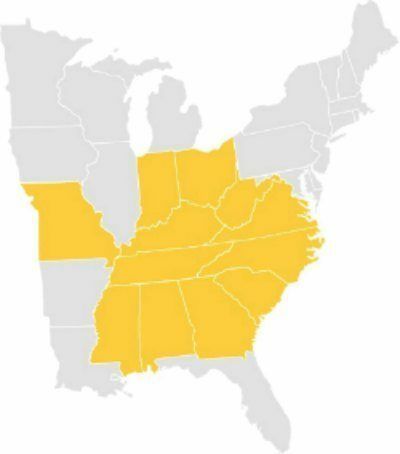 Give us a call today at 615-712-8893 or fill out our Request a Quote form today! We are Top Rated Roofing Contractors in Nashville and maintain an A+ rating with the local Better Business Bureau! We are more than just a Nashville Roofer – we are a full service General Contractor and can replace or repair your roof, windows, gutters, siding, and even window screens!